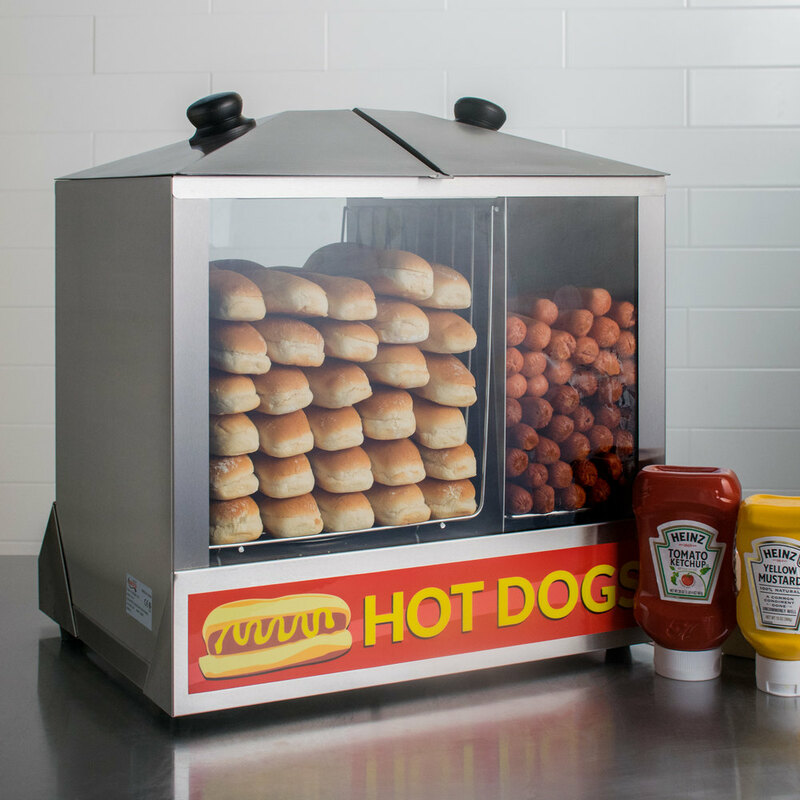 An excellent addition to snack bars, stadiums, vending carts, and many other foodservice operations, this Avantco HDS-200 hot dog steamer effectively holds and merchandises product to capitalize on hungry patrons and boost impulse sales! 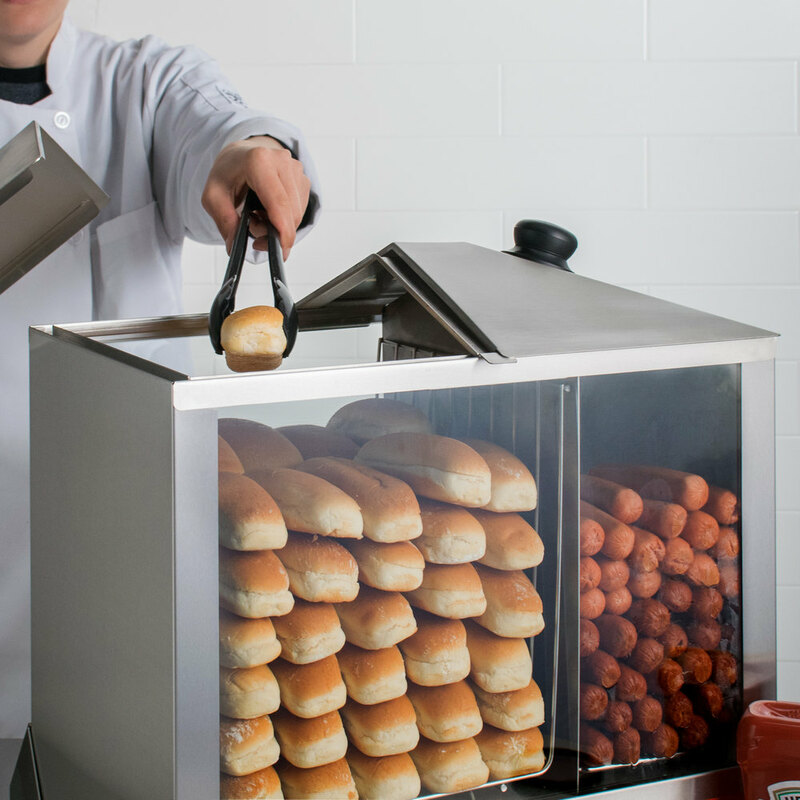 The unit's spacious design steams and holds up to 200 pre-cooked hot dogs and 48 buns so you have a ready supply throughout the day, while easily adjustable temperature and humidity controls ensure the dogs stay plump and juicy and the buns stay warm and fresh. 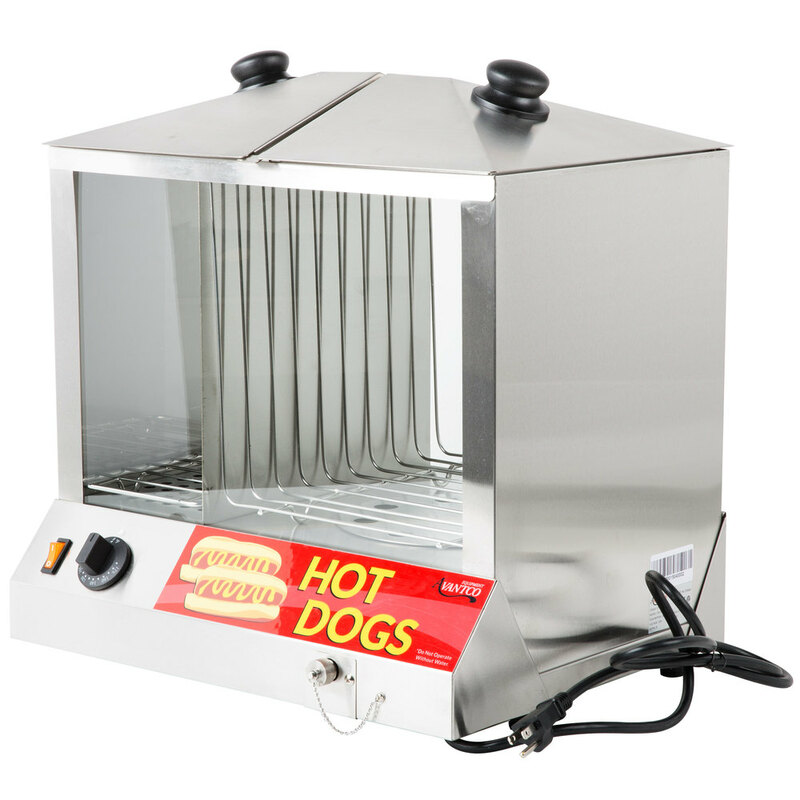 This hot dog steamer comes with a large 6 qt. water pan for the easiest maintenance possible. 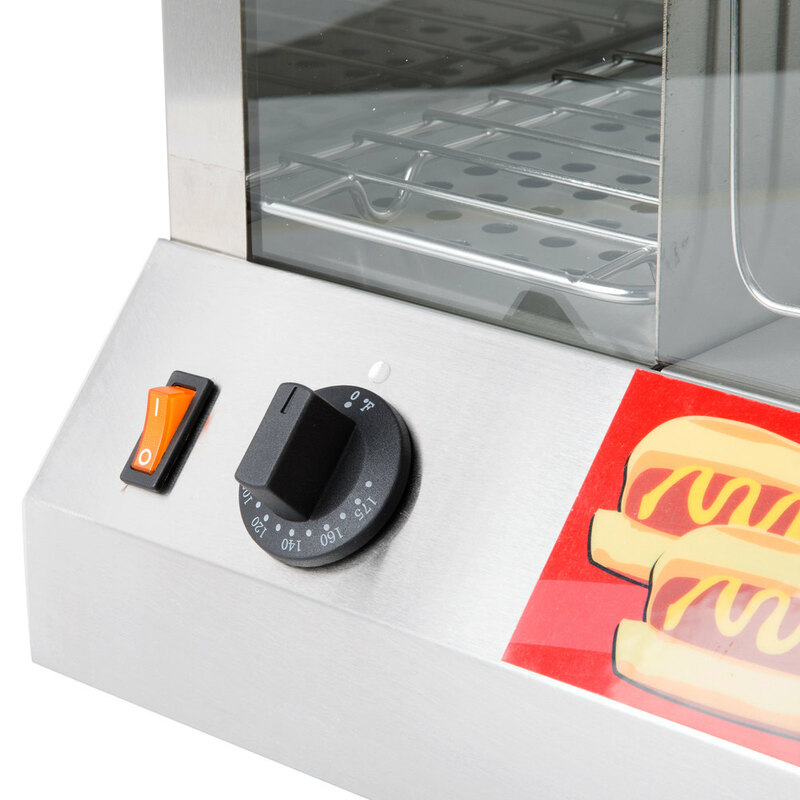 Simply fill the pan at the start of the day, set the temperature and humidity to keep your pre-cooked hot dogs warm and juicy, and the high capacity water pan will hold the water you need to effectively steam until closing time with no need to worry about the pan running dry! 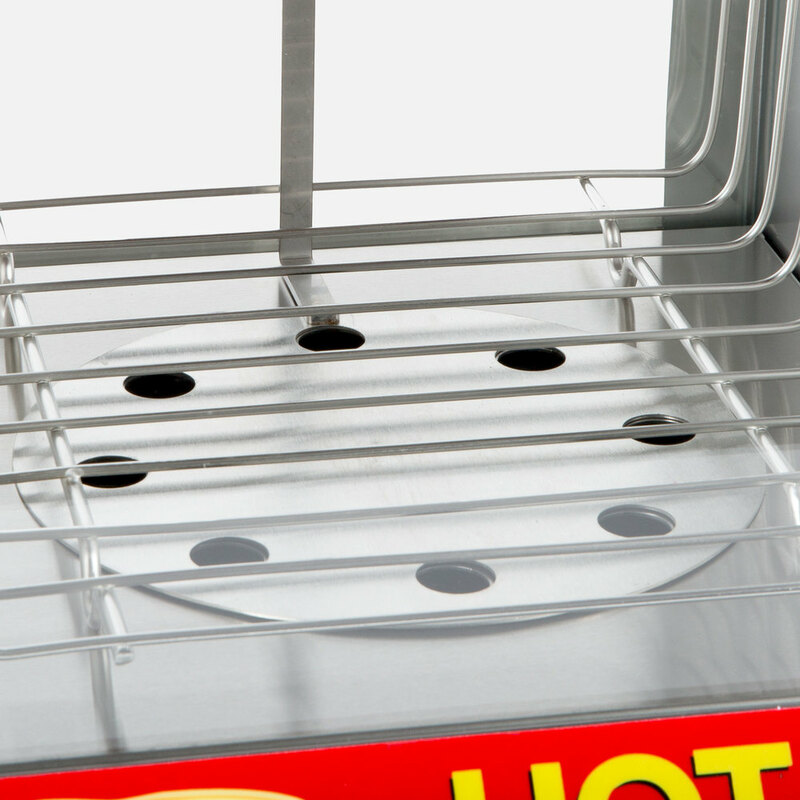 A stainless steel housing gives the steamer a sleek, durable construction while the tempered glass front and back tempt customers with excellent product visibility. And thanks to the unit's convenient top-loading design, you have easy access to product without sacrificing workspace to traditional rear swing doors. 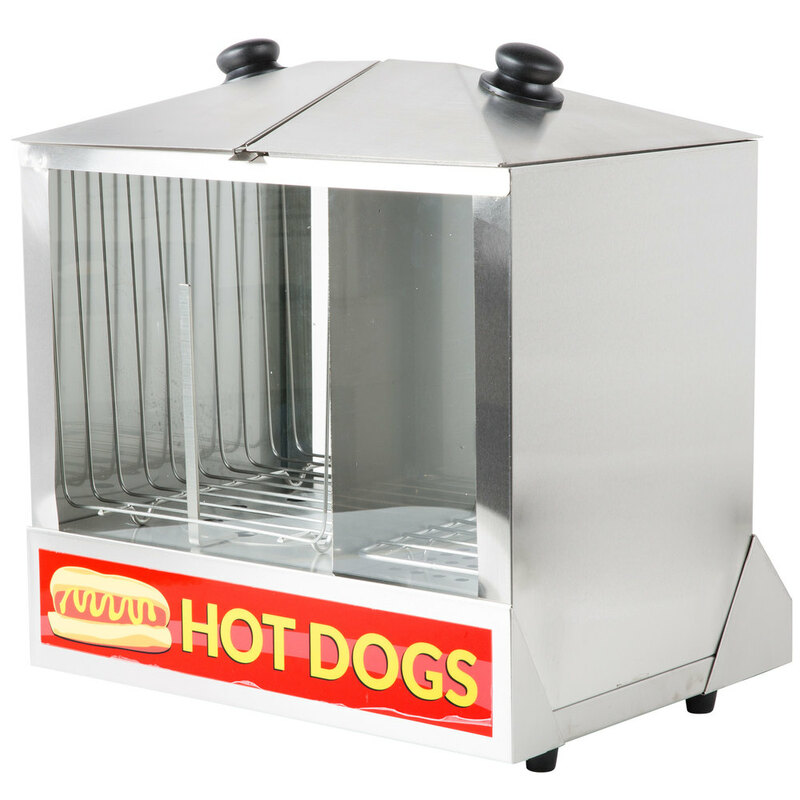 The Avantco HDS-200 hot dog steamer requires a 120V electrical connection for operation. We rent this machine. Such a great value and price. Not to mention free shipping. We will be buying another over the winter for our business. I bought this as part of my children's party business. I used it at the office holiday party it was such a huge hit people wanted to rent it. It held the max amount of Nathan's hotdogs cooked evenly. Don't put your bread in too early but I love my investment. Cost reasonable too. 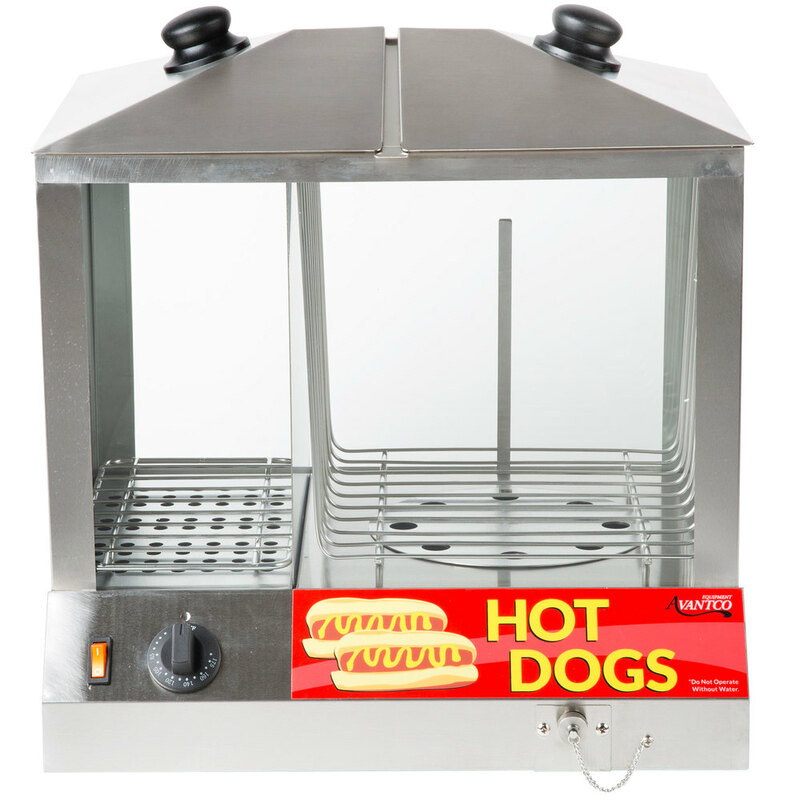 Love my hot dog machine perfect for the grandkids a d family events. Buns warmer is extremely helpful. Can't wait to start my business up. This machine heats up great and works the way I want it too! I would recommend this product for concession stands use! You can also use it for birthday parties instead of grilling hotdogs!